NEW YORK (Sputnik) - Moscow is ready for dialogue with Washington which is necessary to both sides and the international community, Russian Ambassador to the United Nations Vassily Nebenzia told journalists. "We behave with restraint toward our American partners. We constantly say that we are ready for a dialogue to the extent that they are ready for it," Nebenzia said. "This dialogue is necessary — not only for us, but for them as well and for the whole international community." Commenting on the statement by US Ambassador to the United Nations Nikki Haley that Russia is not a friend of the United States and will not be as long as its government has "the values that it has," Nebenzia stated. "First of all, we don’t buddy up with anybody, we do not ask for love, we just ask for civilized relations," Nebenzia said. "What is happening now cannot be called a civilized relationship, and this is not coming from our side," ambassador stated. "Among the American political establishment there is an absurd consensus about the attitude toward Russia, therefore she [Haley] says what is politically correct to say to any interviewer," he added. "Russia for congressmen and senators became a bogeyman for their children, or rather for their grandchildren." Nebenzia said he told US President Donald Trump during a meeting in January that Russia and the United States should work together on real threats such as the threat of terrorism. "I told him that Russia is accused in the United States of revisionism, of wishing to become a great power again. Yes, we do not want to be weak and poor, we want to be strong and prosperous, but not at the expense of anyone, not at the expense of the United States," Nebenzia told reporters. Nebenzia said the United States and Russia should bridge their differences and deal with the actual threats facing the two countries. "Let's finally deal with not fictional but real threats, and the real threats are extremism, terrorism, [violation of the regime] of non-proliferation." Nebenzia said that many countries in the United Nations expected Russia to get along with the United States. When relations between Moscow and Washington are good, the world "breathes easier," the Russian ambassador added. 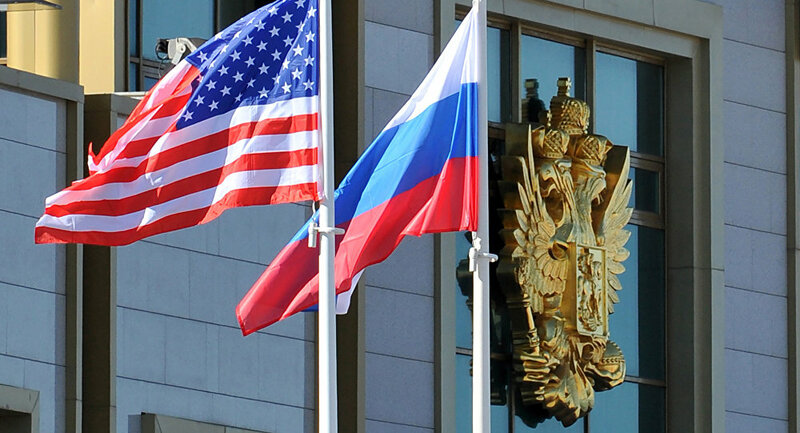 The relationship between Russia and the United States has deteriorated in the last several years after the 2014 conflict in Ukraine and Crimea's reunification with Russia. Crimea’s residents voted to join Russia in a referendum, but the results of the referendum are not been recognized by Kiev, Washington and some of its allies. The UN Security Council does not consider any preconditions for suspending an arms embargo on Libya at this time, Vassily Nebenzia said. "There are no prerequisites for lifting the arms embargo at the present time. Easing the Libya embargo will not help," Nebenzia said. The Russian ambassador explained terrorist groups continue to pose the greatest threat to the international community and compared Libya to a "glass broken into small pieces." Moreover, Nebenzia said Libyans seem not to have enough experience in dealing with political struggle. Libya has been in a state of turmoil since 2011 after US-backed Islamic rebels toppled the country’s government and killed its leader Muammar Gaddafi. Since, Libya’s tribes and political factions have fought for supremacy, but the power vacuum has enabled a foothold for the Daesh and other terrorist groups. Libya has been banned from importing arms by a UN Security Council resolution adopted in 2011. Russian Ambassador told journalists that the United States is presenting the situation in Afghanistan much rosier than it really is. "Afghanistan is becoming a new foothold for the Daesh terrorist group, it is concerning to both our Central Asian colleagues, and us," he added. Russia is doing everything to launch a political dialogue inside Afghanistan while the United States is betting on military means, according to Nebenzia. "The Americans say that their goal is to intensify the suppression of the terrorist groups, primarily from the air. They assure us that within a year they intend to achieve major military successes in Afghanistan," the envoy said. Afghanistan has long been suffering from political, social and security instability due to the activity of the Taliban radical movement and Daesh. To address this issue, Russia hosted a number of conferences on the issue. "The gathering that took place in Sochi was a push within the Geneva process, which was stagnating," Nebenzia said. He recalled participants of the congress decided to form a committee that will establish a new constitution. The final memo of the Congress includes 12 principles for the ongoing crisis in Syria, Nebenzia added. The Russian ambassador said these accomplishments prepared the ground for the work of UN Special Envoy for Syria Staffan de Mistura. Nebenzia said now de Mistura can begin the formation of a constitutional commission, writing a constitution, and preparing for elections. On January 30, Russia's city of Sochi hosted the Syrian National Dialogue Congress. The main result of the event was the creation of the commission that will work in Geneva and focus on amending Syria's existing constitution. "We have had two rounds of expert consultations. At this point, everything stopped," Nebenzia said. "American partners said that our resolution is at a disadvantage to them, and the best option is to return to the mechanism of investigation ‘killed’ by us." The ambassador added, however, that in reality, the mechanism was killed by the Americans as they did not to take into account Russia’s plan. "The responsibility for the death of the joint mechanism lies on the United States, not on us. But we have not stopped thinking about an investigative mechanism, so we proposed a new resolution, which is now being discussed at the experts level," Nebenzia said. "To be frank, I do not see any prospects for its adoption in the near future due to the US position. And it's not entirely clear why Americans would need an independent mechanism to probe chemical incidents in Syria, as they immediately accuse the regime of doing not only prior to an investigation, but before confirming the use of chemical weapons." Nebenzia also called a string of rumors about the use of chemical weapons in Syria part of a slanderous campaign to discredit the Syrian authorities and the Syrian National Dialogue Congress in Sochi. "This is a classic propaganda campaign," Nebenzia said. The Ambassador added that another tactic of the United States is to bring the issue through the OPCW. On Tuesday, the UN-mandated Independent International Commission of Inquiry on the Syrian Arab Republic said that it was investigating reports of alleged chlorine use in Syria. Syrian authorities have been repeatedly accused of using chemical weapons against civilians in the conflict that began in 2011. Damascus has denied the allegations insisting that its military chemical capacity has been destroyed. We think that the decision is untimely. It does not contribute to the progress of resolving the Israeli-Palestine conflict, which is key to the solution of the problems in the Middle East," Nebenzia said. "Palestinians treat it as a betrayal. They don't believe that Americans can come up with a kind of plan they promised, the 'deal of the century'," he added. On December 6, 2017, Trump announced his decision to recognize Jerusalem as the capital of Israel and instructed the US State Department to move the embassy from Tel Aviv. Trump's decision has caused a huge wave of criticism in numerous countries, including in the Arab states. Vassily Nebenzia told reporters that he thinks there is no way to further toughen the sanctions against North Korea. "We can't strengthen [the sanctions] any further. There is nothing left to prohibit to North Koreans," Nebenzia said. "They need to realize that the pressure through sanctions has its limits. They have reached their limit as is." "Ideally, sanctions are a tool to compel the perpetrator to sit at the negotiating table," Nebenzia said. In 2017, the UN Security Council has imposed gradually stricter sanctions on North Korea three times. "Our idea of a double freeze, prepared together with China, is de facto in motion right now, even though some of our partners don't want to admit it. We are actually living under the conditions of the double freeze," Nebenzia said. In January, US President Donald Trump and his South Korean counterpart Moon Jae-in agreed to halt joint military exercises for the duration of the 2018 Winter Olympic Games. "The longer it lasts, the better. We see its natural termination upon the resumption of US-South Korean joint exercises in the beginning of April. Of course we'd prefer if they postponed the drills, or at least reduced their scale. It's very important," Nebenzia said. "We are now at an important moment, when the window of opportunity for a US-North Korean dialogue actually exists," the ambassador stressed. The Russian envoy added that a meeting between US Vice President Mike Pence and the North Korean delegation is still possible at the Olympics. "Our US partners are in the process of analyzing how they can tackle this problem. They realize that a solution is necessary, and that a military solution will be a catastrophe," Nebenzia said. The so-called 'freeze for freeze' agreement was proposed by China and Russia in June. 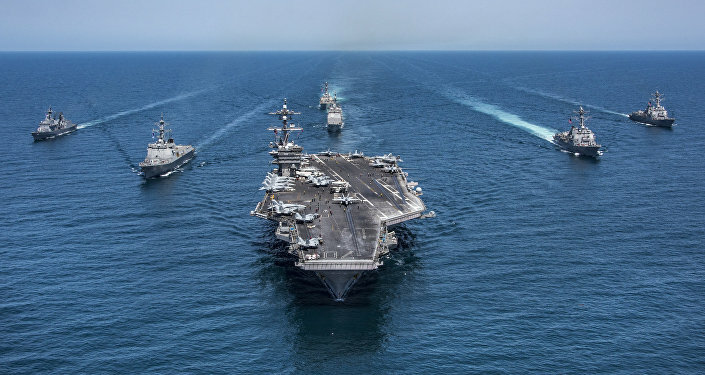 It provides for the cessation of North Korea's nuclear activity in exchange for halting the US-South Korean joint military drills. Russia believes that recent statements by US Ambassador to the United Nations Nikki Haley indicate the United States may be preparing new punitive measures against Iran, Russia's envoy said. "In Washington, DC, Nikki Haley stated that members of the UN Security Council were given proof that Iran was illegally arming the Houthis [in Yemen]," Nebenzia said. "Haley emphasized something has to be done to counter Iran's activities. Her statements indicate the United States could be preparing new measures." However, Nebenzia pointed out that the UN Security Council has so far not seen any steps or changes in US policy. In January, US President Donald Trump hosted a lunch with ambassadors of UN member states in the Security Council. US Secretary of State Rex Tillerson, White House Chief of Staff John Kelly, National Security Adviser H.R. McMaster and Haley also attended the meeting. Nebenzia said participants in the meeting were shown fragments of alleged Iranian missiles from Yemen that were provided by Saudi Arabia.